While most parents are concerned with raising a moral child that can identify between right and wrong within the everyday context like sharing their toys, not hitting their siblings and caring for others, Armenian parents are charged with the extra burden of raising a child that understands that what occurred to an entire nation of peoples nearly a century ago is a demonstration of probably one of the darkest immoral acts of humankind: genocide. But at what age is it appropriate to pass along this burden and teach our children about the moralities surrounding genocide? 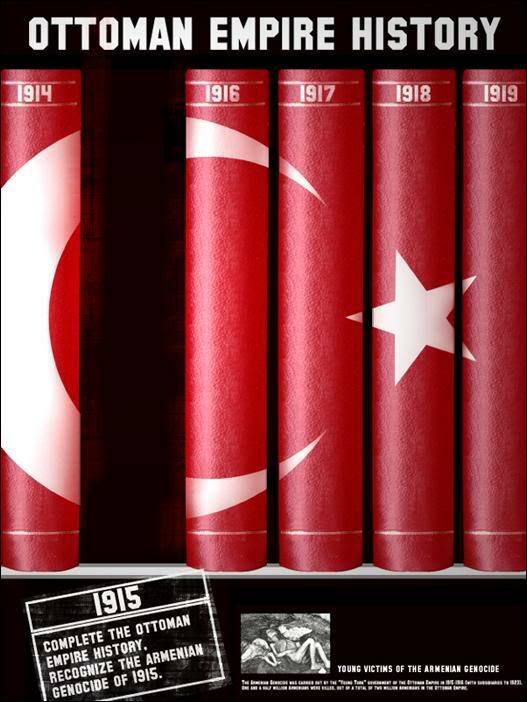 Almost a century has passed since the Young Turk faction of the Ottoman Empire began its attempt to eradicate the Armenian people. Virtually all Armenians have been taught about this dark time in our history – when more than 1.5 million Armenians were slaughtered, mutilated, massacred, tortured, and evicted from the homes which they had occupied for more than 3 millennia. It is hard to forget the imagery: photographs of emaciated children, bodies littered along the path of a forced march through the Syrian desert, notable Armenian leaders hung on makeshift gallows, pictures of maps with red circles sized according to the number of the slaughtered and murdered juxtaposed with maps delineating the historical lands of our people. Imageries of loss, injustice, and immorality. I recently came across an editorial recently published in the New York Times by Adam Grant entitled, “Raising a Moral Child” which starts with a simple question: “What does it take to be a good parent?” Grant states that the top priority for parents is to raise children who care, in essence children with good morals. Children learn about morality at a very young age: by age 2 they know right from wrong in a very simplistic way. Yet parents only have a fleeting window of time in which to cultivate their children. While children frequently forget some of the lessons they learn at around age 5, by the time they are 10 years old their identities have mostly been formed. Furthermore, tying generosity to character was most effective around age 8 or when students are entering Grade 3, and over the long term, children who associated generosity and morality as part of their own identities or character were significantly more likely to make moral and generous choices, rather than children who were simply praised for doing the right thing. Generosity is a large part of morality: being kind, showing empathy, and the ability to be the bigger person when the situation does not make it easy or when generosity doesn’t seem like the obvious choice. Generosity is a trait better taught through action – a challenge given the Turkish government continues to deny its guilt. Interestingly, and according to Grant’s article, when guilt is experienced, children are more likely to experience remorse, regret and empathy and aim to right their actions. Perhaps it is for this reason that the government of Turkey will not accept blame or teach its citizenry about the Genocide. Consequently, Armenian parents are faced with an additional layer of complexity: demonstrating generosity and being the bigger person in an equation that includes much hurt and anger, and which is void of resolution. Schools play a large role in teaching about morality sharing in the burden of genocide education. As a parent of two students that attend the an Armenian Private School in Toronto, I learned that children are exposed to aspects of the Genocide as early as Kindergarten. Every April, once the coloured eggs, bunny rabbits and baby chicks have been packed away, teachers begin laying the groundwork for learning about the Genocide. There, children are told simply that their forefathers had to leave their ancestral lands for reasons such as their refusal to convert from Christianity – a clever tie-in considering the children just learned about Easter and the sacrifices made by Jesus for humankind. In elementary school, children learn about memorializing the perished: they place flowers at the base of a memorial statue and attend an annual assembly where the simpler facts around the Genocide are discussed again including the introduction to the concept of injustice resulting from denial. I spoke to a Principal of an Armenian Private School, who stated that the topic of genocide does not get fully explored until Grade 11, when virtually every facet is discussed within an academic context and as part of the Toronto District School Board comparative genocide course. The goal at the high school as exemplified by both the Armenian History teacher, and the high school teacher responsible for teaching the genocide course, is to ensure that students are equipped not just with the emotions and sense of empathy necessary when learning about the Genocide, but also with the facts and with a higher sense of morality about what is right and wrong within the context of international history, law and universal human rights. In her Armenian history class, the Armenian History Teacher teaches students to move away from a “victim mentality” to one that leaves them with a sense of achievement in the strength, patience and endurance of the people. Armenian revolutionaries are discussed alongside the historical facts and she stresses to her students that as a nation, Armenians have a higher moral code; that as Armenians, we are creators – not destroyers – that our own value system would not allow us to do to others that which was done to us. The Genocide Studies teacher continues the hard work by teaching the school’s Grade 11 genocide course, which is a comparative study of genocide, starting with the Armenian Genocide and including the subsequent Holocaust, and Bosnian, Sudanese and Rwandan genocides. Students are taught about the definition of genocide as well as the various stages of genocide with the essential first step being a discussion of the concept of universal right and wrong – an easy task, one would think, having been ingrained in children since they were toddlers. However, as the teacher stated, when the concept of justice is introduced, and certainly as children get older and become adults, situations appear less ‘black-and-white’ as reason, rationale, experience and circumstance interfere with our clarity. Justice is a concept of morality based on ethics, rationality, law, religion and fairness. Morality, on the other hand, refers to the distinction between right and wrong. So when a key tenet of Canadian society, justice, and consequently fairness, is taught to children, as students they are faced with a conflict as they struggle to be moral while reconciling with a past injustice. For example, as an exercise, the teacher asks her students if they would commit those same acts if they came face-to-face with one of the Genocide’s perpetrators. While a younger student would almost certainly say no, for these older students, the concept of justice and “an eye-for-an-eye” can really come into play. The ideas of good and evil take on different meaning as we get older, changing our sense of morality. We see atrocities that make us angry, allowing our emotions to overpower rationality and perhaps make us ready to inflict more evil in the name of morality. And in today’s world, unfortunately these behaviours are sometimes more readily rewarded and sensationalized by the media. The risk we run, however, is the risk of descending into vengeance and intolerance. Yes, teaching morality is a responsibility for any good parent. 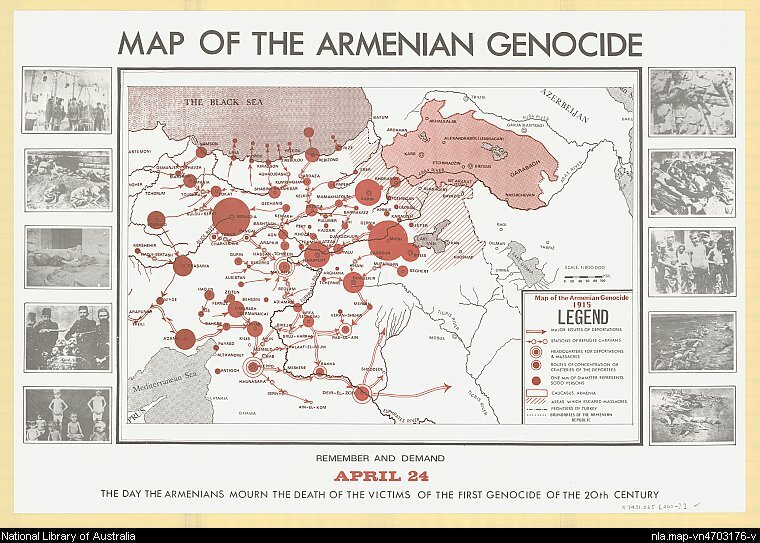 And teaching about the Armenian Genocide, while an important, complicated, difficult and heart wrenching element of the morality equation, is an imperative as it allows for the contradiction between moral and immoral, the dark – where as a nation we were completely victimized and dehumanized, and the light – where we are strong, have flourished, demand acceptance and fight to ensure that such an act never occurs again…to anyone. As an Armenian-Canadian parent, married to a non-Armenian (or as I laughingly refer to him, a “converted Armenian”), I accept this burden. Like all of these educators, I seek to educate those around me who are not aware of the Armenian Genocide and the injustices which my ancestors endured and which I continue to endure. I did not ask for this burden – and would gladly wish that it not be mine – but I will be strong and teach my children to be strong, to lift their heads high and be proud, moral, educated Armenian-Canadians. Thank you for posting such an informative, interesting, and hopeful article. Your educated point of view on the topic is refreshing! Karen, thank you so much for your comment! I’m so glad that you liked it and glad to have made an impact regarding such an important issue which, unfortunately, hits at my core. Thank you, Robin. And it’s not just people that I know, it was my grandparents, and many other friends and relatives. It was something I just had to write about as it is very near and dear. Thank you for reading it and for being brave enough to comment! Thank you so much. I just want to get the word out – not only create awareness about genocide, but also if we do not teach our children about these most darkest aspects of humanity, well, I’m afraid we are doomed to repeat our mistakes… Thank you! I’m so proud of you for writing about this in such an educated, compelling and confident way. Well done Talyn jan. Thank you, Sean. Being the grand-daughter of survivors, it was HARD to keep from being too emotional. Amazing that you’ve visited the genocide museum in Rwanda and any learning about this dark side of humanity is an important step to ensuring we don’t repeat our mistakes… As always, thank you so much for reading! That article was so beautifully written. It brought a tear to my eye and I know grandma and grandpa would be so proud. I thought this post was beautifully written about such a tragic and important topic. I didn’t know anything about the Armenian genocide until I read this. I think children should learn about such things, hopefully with education we can maybe prevent such horrors being repeated.